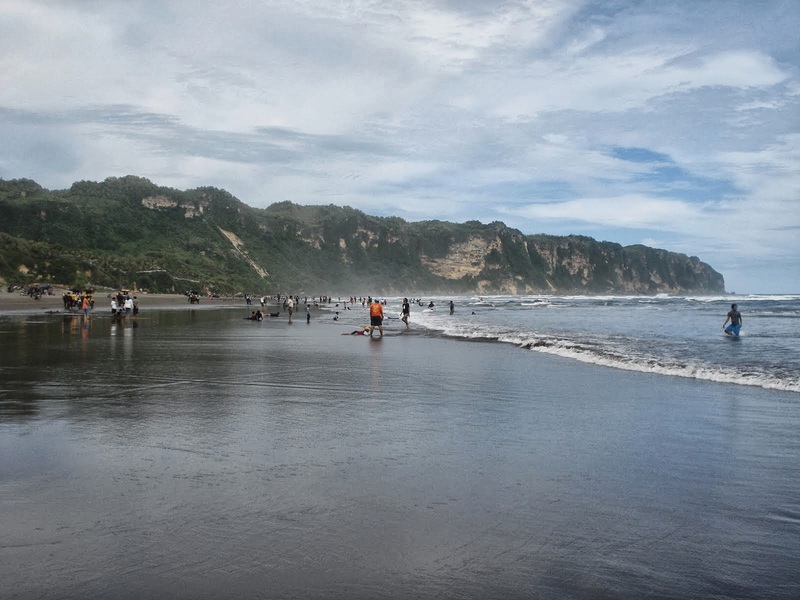 Parangtritis is a popular tourists beach and village area on the southern coast of Java in Bantul Regency within the Special District of Yogyakarta. There is a good road to the area which is about 30 km south of the city of Yogyakarta, located just on the border between Bantul and Gunung Kidul regencies. Parangtritis is sometimes said to be a place to meet the legendary Nyai Loro Kidul (also known as Ratu Kidul) or ‘Queen of the South’. Local folklore warns visitors not to wear green clothes or the Ratu Kidul is likely to try to entice the wearer into the ocean to drown. The beach is not really a good swimming beach. 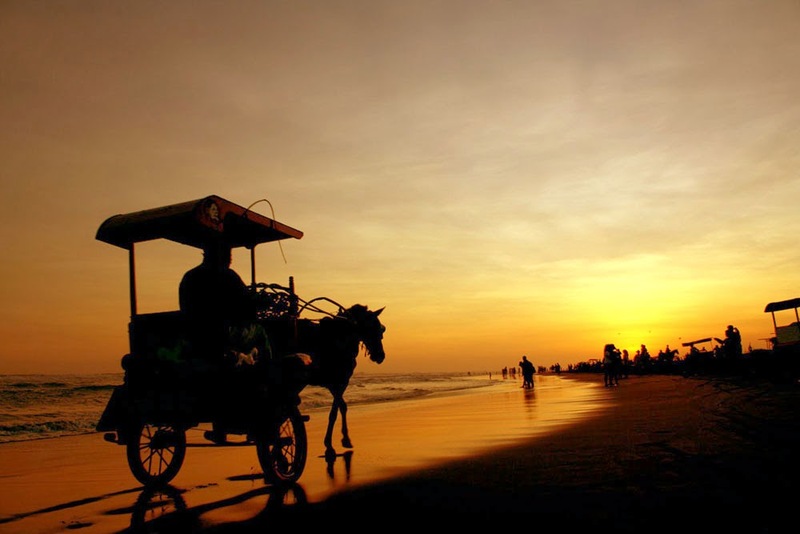 Parangtritis is the best tourist place for enjoying the sunset while having fun conquering sand dune with All Terrain Vehicle (ATV) or walking along the beach with a carriage in the romantic evening. When the sun is leaning to the west and the weather is sunny, it is time for having fun. 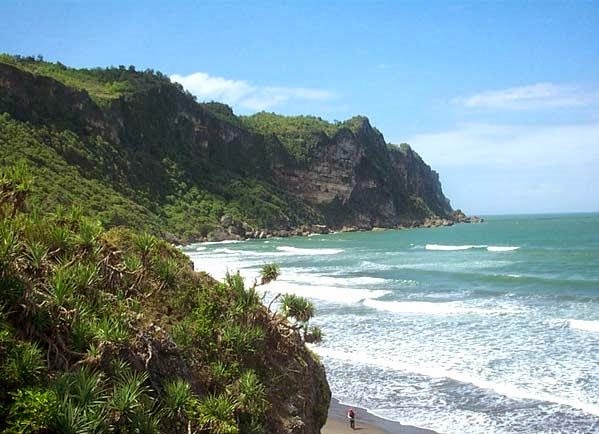 Although visitors are prohibited from swimming, Parangtritis Beach is not lack of the means for having fun. 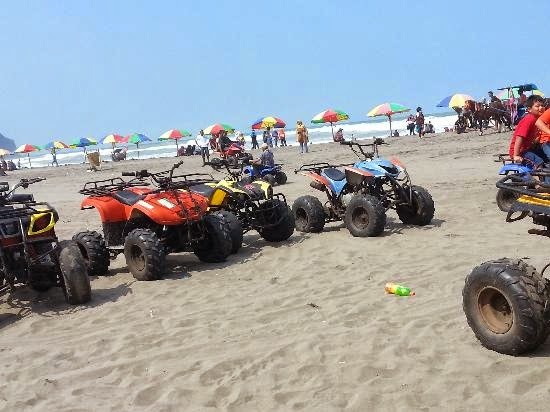 On the beach there is All Terrain Vehicle (ATV) rental, the tariff is around Rp. 50.000 to 100.000 per half hour. Enter its gear and then release the clutch while pulling the gas. ATVs may only be suitable for those who are more adventurous. Another option is the carriage. Walking along the sand surface that is smoothly swept by the wave with two-wheeled horse-drawn carriage is no less enjoyable. The carriage will bring us to the end of the east coast of Parangtritis Beach where the cluster of rocks that is so beautiful , so it is often used as the spot of a pre-wedding photo shoot. The dim twilight and golden shade of the sun on the water surface more raise a romantic atmosphere. 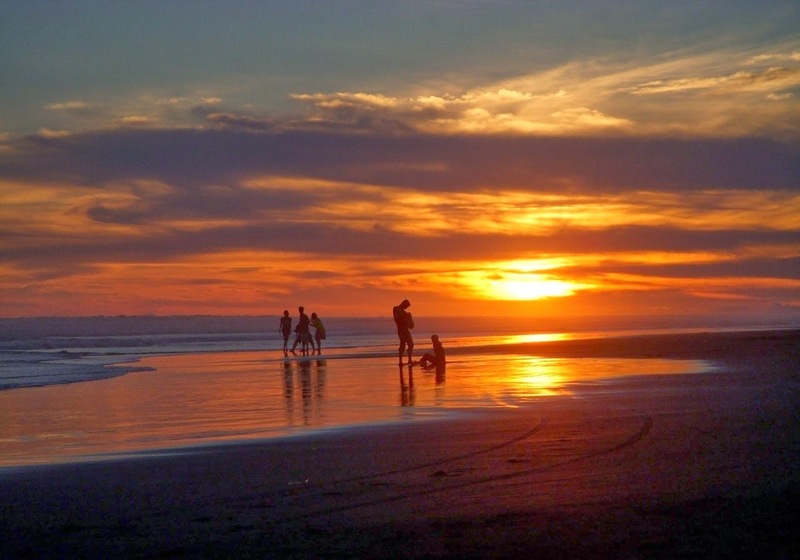 Parangtritis Beach also offers the excitement for those who travel with family. Kite-flying with your child is also enjoyable. The strong sea breeze is very helpful to make a kite flying high, even if you’ve never played a kite.